Welcome to our collection of high-quality wholesale dress socks for boys. Here we have a great selection of smart looking wholesale boys dress socks that are available to you at the lowest wholesale prices. Young men can dress well for any occasion when you can supply them with a great range of boys dress socks, so stock up now and get big wholesale discounts on boy’s dress socks pattern, toddler boy dress socks white and baby boy dress socks. Wholesale Sock Deals is the home of big discounts on men’s socks, women’s socks, and boy’s socks. We always have the widest choice and the biggest discounts. If you own a fashion store, a discount store, or a family clothing store, you can’t afford to miss out on these amazing deals on children’s dress socks and children's argyle socks. There are kid’s socks for all occasions in this range of wholesale boy’s dress socks. We have huge bulk discounts on toddler argyle socks, the lowest wholesale prices on youth dress socks and the best prices on discount boys dress socks too. You get these amazing low prices on dress socks for boys, whether you buy one case of toddler argyle socks or twenty cases of youth dress socks. 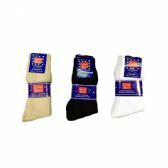 You save money on every case of wholesale inexpensive boy’s apparel when you shop at Wholesale Sock Deals! Why wait any longer the get the cheapest high-quality wholesale boy’s dress socks? Place your order for your wholesale boy’s dress socks now and get a great wholesale deal on all your boy’s sock purchases! 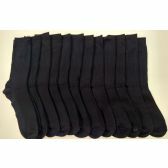 Have you placed your order yet for the best quality, inexpensive wholesale boy’s dress socks on the web? Wholesale Sock Deals are the number one online wholesale supplier of socks, so order your boy’s dress socks now and get the best deals on wholesale boy’s socks. From baby boy dress socks to youth dress socks, the best deals on boy’s dress socks are right here. Every wholesale case of dress socks for boys contains nothing but the best quality socks at the lowest wholesale prices. Whether you are buying for a discount store or a kid’s fashion boutique, this range of boy’s dress socks is bound to be a big hit with the boys and mom’s alike. We have great prices for you on everything from boy’s dress socks pattern to toddler argyle socks, so take a good look around and pick out a wholesale socks bargain for your store. Whenever you need toddler boy dress socks white or children's argyle socks, come straight to Wholesale Sock Deals. We always have a great selection of children’s dress socks in stock, and our wholesale prices are always low. We will even deliver your wholesale dress socks order for free. It’s just one more way that you can save money when you shop for wholesale apparel at Wholesale Sock Deals. Join the thousands of retailers who have already made Wholesale Sock Deals their go-to wholesale supplier for children’s apparel. Order your discount boys dress socks now and start saving money with the best apparel wholesaler on the web!